Datsun RediGO was officially previewed in the month of May. 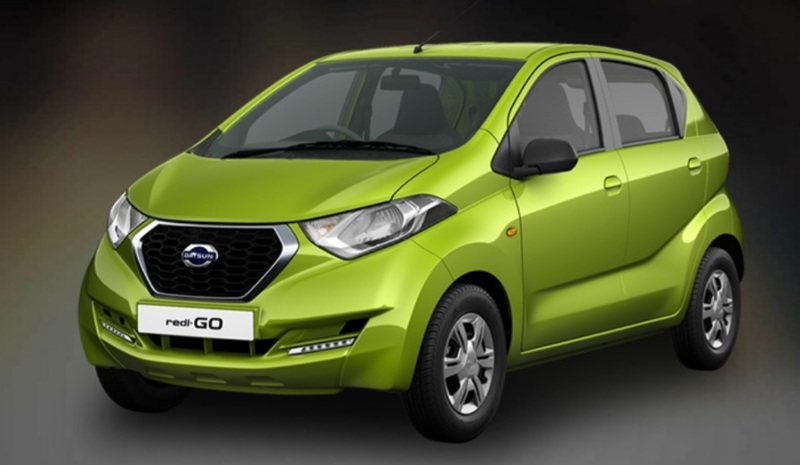 Nissan India has confirmed that the Datsun redi-GO will launch for sale on June 7. Initial units of the Datsun redi-GO have already started arriving at dealerships across the country. The official price of Datsun Redi-GO has not been revealed yet. The expected price of Datsun redi-GO hatchback is between INR 2.5 lakhs and 3.5 lakhs. With the Datsun RediGO’s launch the Japanese manufacturer, Nissan would potentially rival against Maruti Alto 800 facelift as well as the recent hit – Renault Kwid. As we know Renault Kwid’s CMF-A platform is shared with the Datsun redi-GO. The Datsun rediGo is shorter in length than the Renault Kwid’s length (3,679 mm). The Datsun redi-GO has a best-in-class ground clearance of 185mm. The Datsun redi-GO is powered by a 3-cylinder 800cc petrol engine that is capable of producing 54 hp at 5,678 rpm and delivers 72 Nm of torque at 4,388 rpm, which is paired to a 5-speed manual transmission gearbox. The Datsun redi-GO is the fastest vehicle and can attain a speed from 0 to 100 Kmph under 15.98 seconds in its segment. The Datsun Redi-Go is also one of the most fuel efficient petrol hatchbacks in its segment and it is capable of an ARAI-rated fuel efficiency of 25.17 kmpl. The other important features of Datsun RediGO includes – LED daytime running lights, LED daytime running lights, front power windows, power steering, a music system with radio/CD/USB/AUX input and an optional driver airbag. The more details of Datsun Red-GO is expected once the car is officially released on June 7th. Have your say by commenting below.